Nick Eatman writes for DallasCowboys.com as the featured columnist and has been with the Dallas Cowboys organization since 1999. 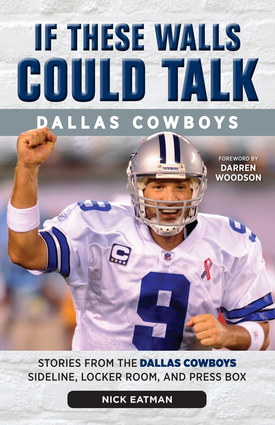 He has written for CBSSports.com, the Associated Press, and the Dallas Morning News, and he has been a three-year TV host for the Jerry Jones Show. Darren Woodson played safety on three Super Bowl championship teams for the Cowboys. He now serves as an ESPN football analyst. They both live in Dallas, Texas.